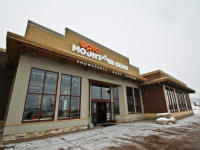 Epic Mountain Gear, conveniently located in Frisco next to Whole Foods, is your one-stop shop to gear up for the mountains! Local experts take pride in providing the best equipment in the best condition, custom-fitted so you never have to worry about comfort and performance on the slopes. 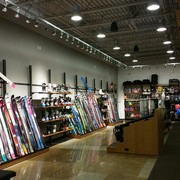 Carrying the latest models of top brands like Salomon, Volkl, K2, Rossignol, Icelantic, Burton, Ride, Gnu, and Libtech. Epic Mountain Gear has it all - from rentals to hard goods purchases!